Lu Laoshi inclines towards exam preparation. Our lessons are high in energy and intensity. We conduct simulated Mock Oral, Mock Exam under exam conditions to prepare students for combat. 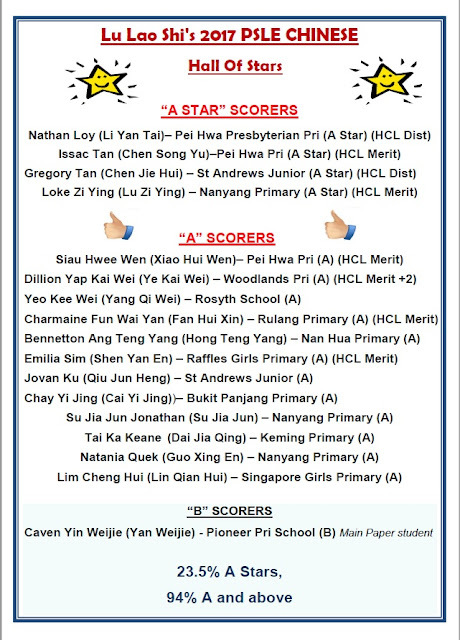 We target Normal Chinese for PSLE T-score aggregate. Higher Chinese is covered in Holiday Courses. 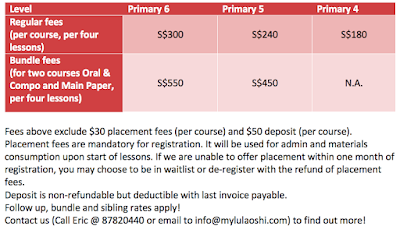 Main Paper Class: We cover 5A/B, 6A/B syllabus and Main Paper training. Training exam techniques, mental stamina, ciritcal thinking skills stretching Right Brain. Instead of conventional 'Tuition' where 'Tutors' explain and read out unfamiliar areas, we impart survival techniques to students. Here, students are taught to decipher, analyse, interprete, make decisions. Pri 5 targeted at scoring full mark for MCQ. 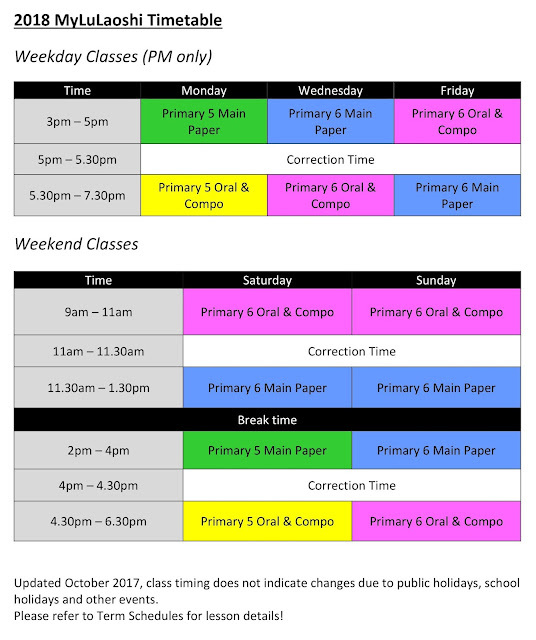 Pri 6 intensive Open-Ended Compre training from May to PSLE. Oral Compo Class: Students internalise Compo Phrases, Oral phrases during lesson and are tested on rotation. Pri 5 students are guided on Compo before writing, given time to memorize, and write within 50mins with no help other than e-dictionary. Pri 6 students are trained more on topic analysis, understanding constraints and making decisions. We teach students to memorize expressions to achieve true learning, at the same time teach them to be flexible in application.